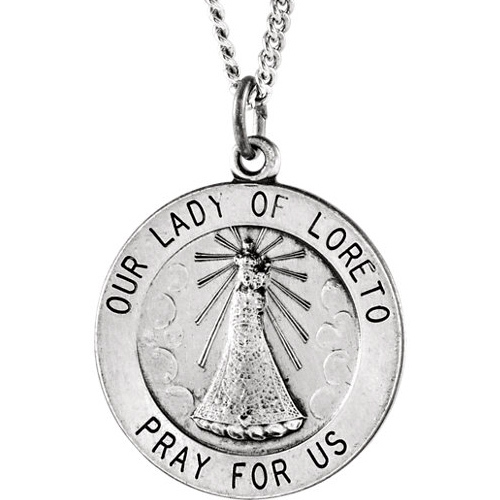 Sterling silver round Lady of Loreto medal includes a matching 18-inch chain. Medal size: 18.25mm. Inscription reads: OUR LADY OF LORETO PRAY FOR US. 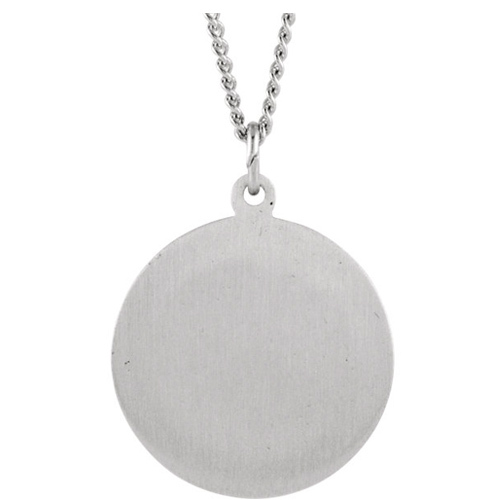 This item is slightly larger than a dime. Weighs 2.18 grams. Made in the USA.